Pigeonholed presents an American classic, and the play that introduced Tennessee Williams to the world. Join us for the story of the Wingfield family, their dreams and disappointments, and an attempt to make sense of guilt and forgiveness through memory. 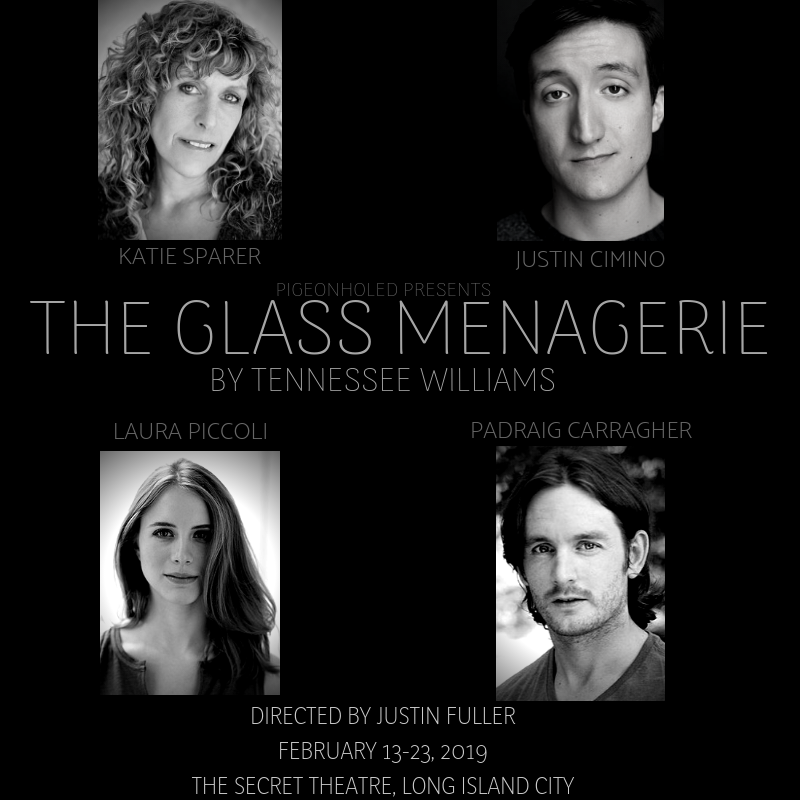 Justin Fuller directs Katie Sparer (Amanda), Justin Cimino (Tom), Laura Piccoli (Laura), and Padraig Carragher (Jim) in a production stripped to its most essential elements.